This travel gift set is genius! 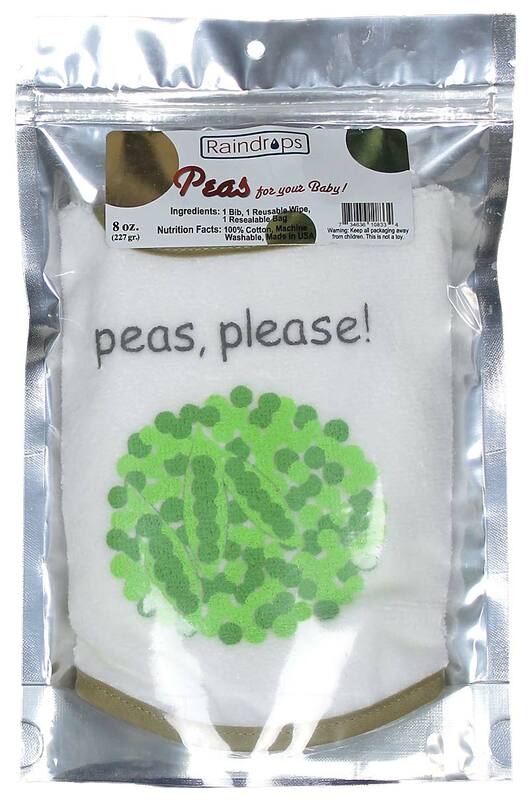 The bib and wipe are enclosed inside a re-sealable, heavy foil food bag. 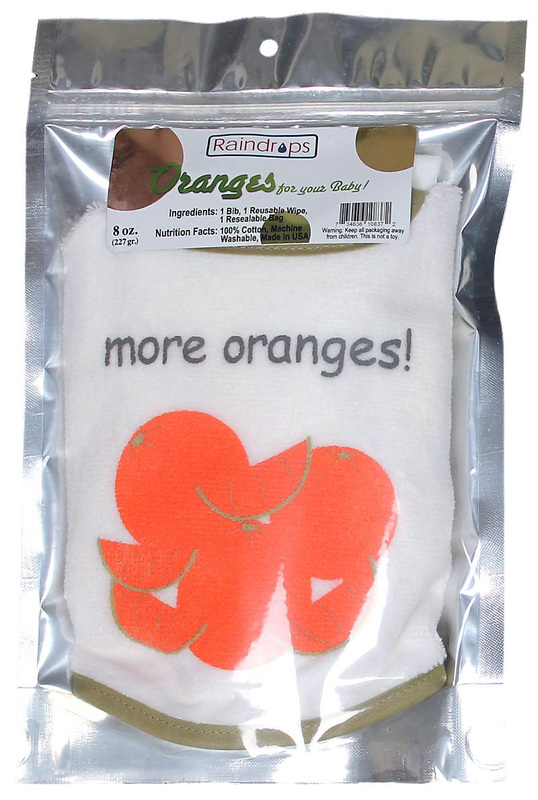 The bag label reads like a real food package, "Oranges for your Baby" and states, "Ingredients: 1 Bib, 1 Reusable Wipe, 1 Resealable Bag." 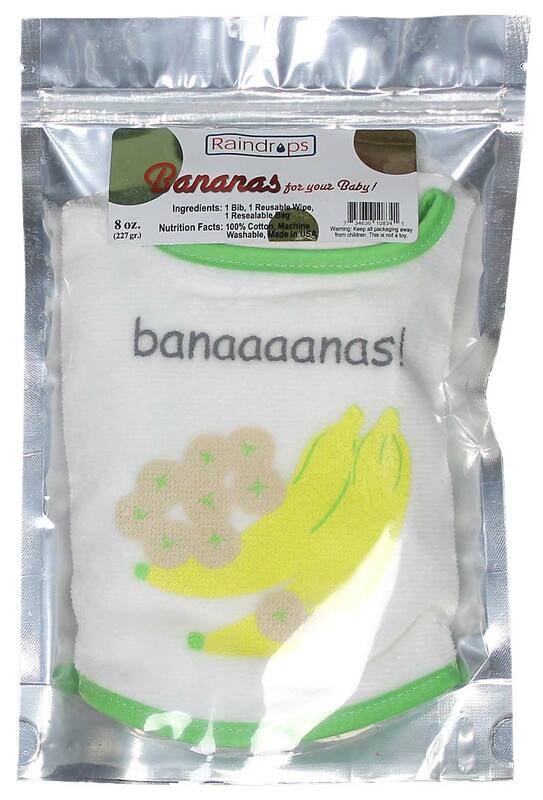 Also, printed on the label: "Nutrition Facts: 100% Cotton, Machine Washable, Made in USA." 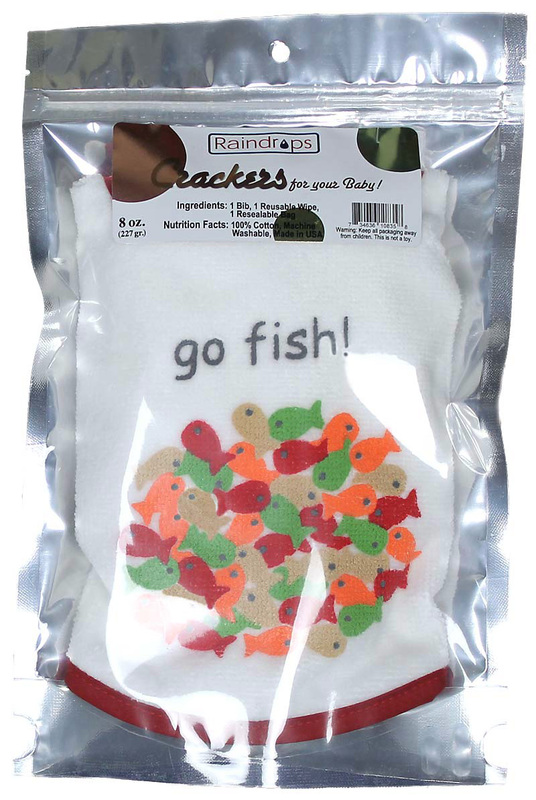 After the bib and wipe are soiled, they can be placed back into this foil bag, dropped into a diaper bag or Mom's handbag, and nothing else will get dirty! 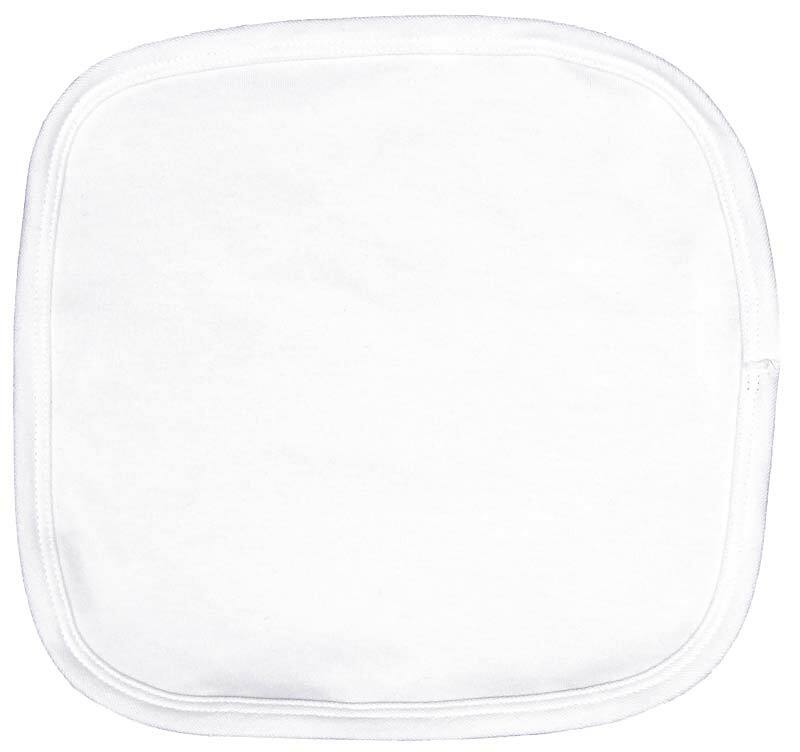 The bib is made with the best velour terry, since it contains no polyester, which means is will absorb better and is much softer on a baby's fragile skin. 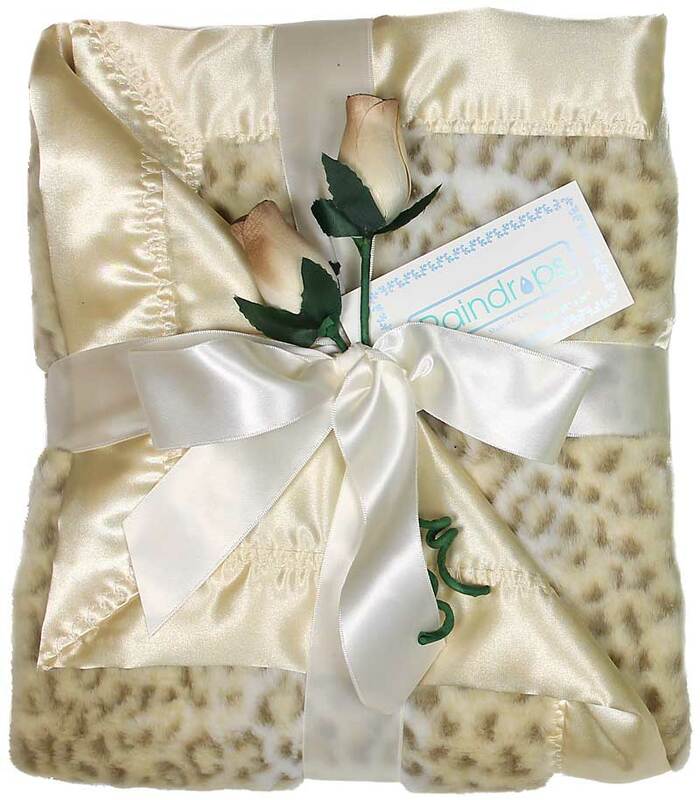 The re-usable wipe is first-rate because it is all cotton interlock, which wears better and longer and is softer on baby's skin. 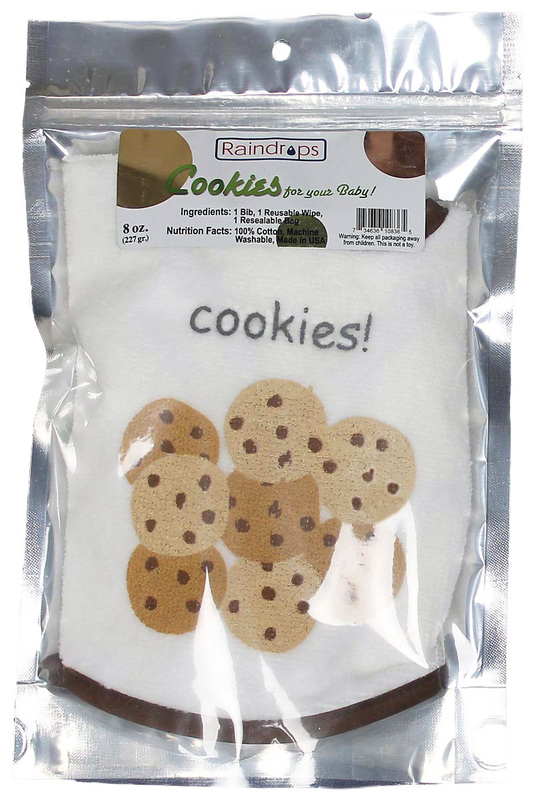 This wipe is also eco friendly, since it is not disposable and will not contribute to any landfills. 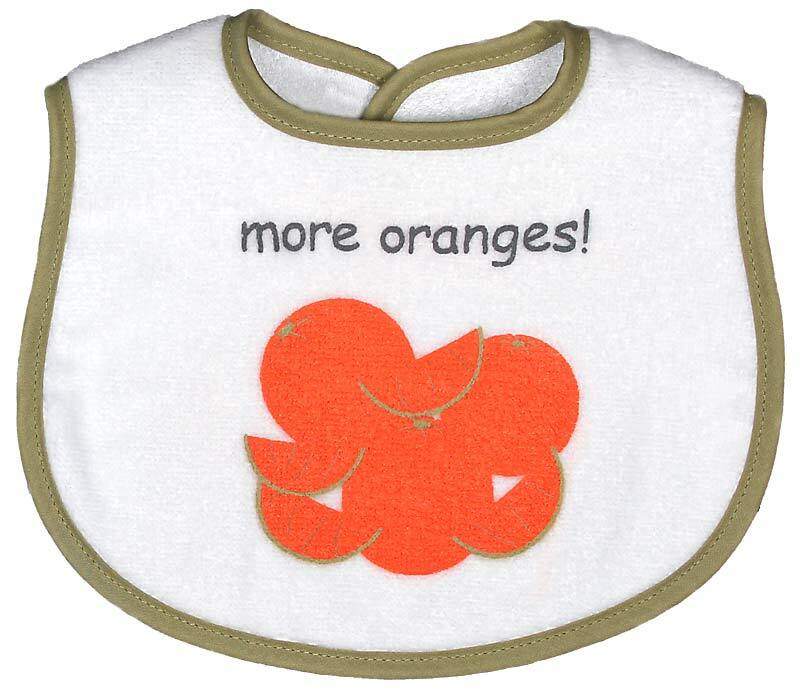 This oranges set is unisex, which works for both a girl and a boy, and it is available in peas, crackers, cerceal, cookies and bananas, too.